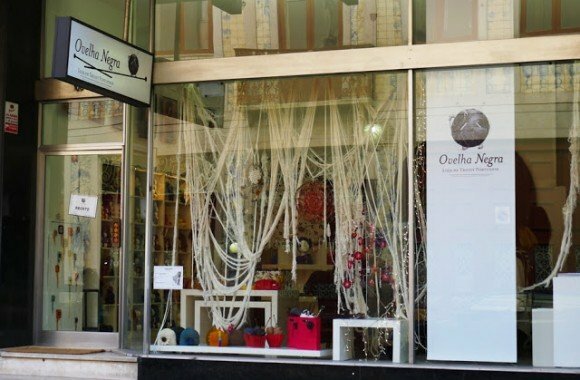 Ovelha Negra is a yarn and knitting accessories store, in downtown Porto. No. It’s not just that. It’s a whole world of natural yarns, glamour needles and accessories and a place where you’ll feel as welcome as if you were at a friend’s house. It’s one of the most colorful stores in the city and Joana Nossa, the owner, is one of the nicest persons I know! Joana’s dream was to be a dancer. She made it after trying three different degrees at university. After a successful carrer as a dancer and after having a baby, Joana decided to make another passion come true: she knits since she was 8 and decided to open a yarn shop. Inside the store you’ll find all you need for your knitting. Joana started in 2009 with just a few of the most well-knonw and highest quality brands of yarn (Rowan, Debbie Bliss and Noro), cool needles (instead of the traditional needles everybody knew, Joana found some really nice bamboo needles that not only look good as they are really good to work with) and pattern magazines and books. This was already different from what other stores had to offer to knitting fans. But Ovelha Negra had something special: workshops. For beginners, for experienced knitters, for anyone who wanted to learn the traditional or new techniques. I took the begginers workshop and had a blast! Now I knit my own scarves and I knit my friends’ birthday and Christmas presents. I buy the yarn at Ovelha Negra and knit at wherever. When I need some help, Joana is always there to lend a hand! Yarns of all colors and materials. On the first Wednesday of each month there’s an All Knit Long: Joana and knitters from all over Porto get together at the shop and knit and chat catching the eye of those who pass by. If you’re in Porto and like to knit, bring your needles and join the group! 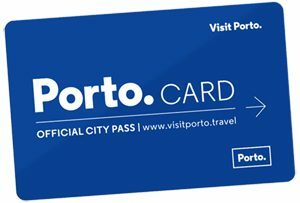 Ovelha Negra is located in the Bookshop District, in walking distance from Aliados Avenue, Clérigos tower and Lello & Irmão bookstore. If you feel like having something to drink or eat, it’s also really close to Café Candelabro and Casa de Ló. Bom Dia, My name is Carol Anne. I received help today from Jōanna for which I am very grateful. She and I exchanged contact information to keep touch with knitting information, but I have misplaced her coordinates and we are returning to Canada. Would it be possible to give this message to Jōanna to ask if she can kindly send me her contact email to my address below? Multo obrigados. Best regards and good wishes.